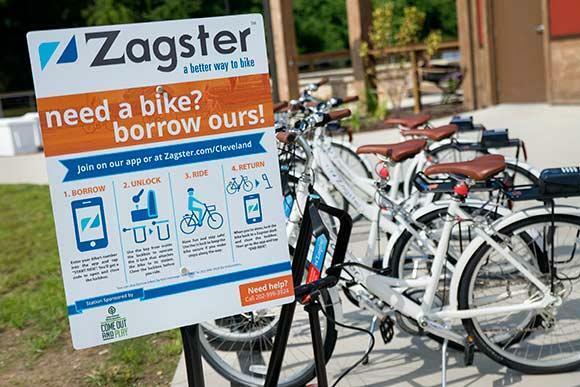 A month after launching its first bike share program downtown, Fort Wayne has been designated as a “Bicycle Friendly Community” by the League of American Bicyclists. In order to earn the distinction as a Bicycle Friendly Community, cities must showcase a willingness to improve cycling conditions and promote cycling locally. This is the second time Fort Wayne has earned the designation since 2012. Cities can apply for the designation every four years, and there are now 372 Bicycle Friendly Communities cities across the US. Fort Wayne’s City Council adopted the Bike Fort Wayne Plan in 2010, focusing on building bike-friendly infrastructure and promoting cycling through policy change. Tyndall herself advocates getting around town with a bicycle, especially as the weather warms up with summer right around the corner. "I really encourage individuals to look at bicycling as a form of transportation," she said. "It's a great way to get exercise, it's great for the environment and even if you just run a couple of errands a day using a bicycle, it can really be good for your health and the community." Fort Wayne will hold its current designation as a Bicycle Friendly Community until 2020, when they will have to reapply to renew the status.